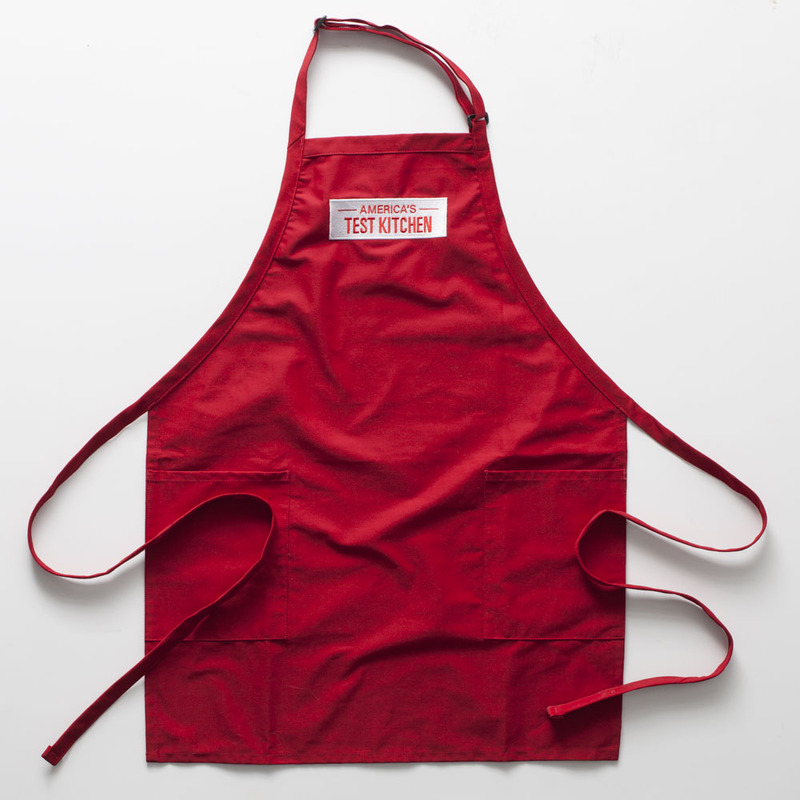 “Cook on set” in your own kitchen wearing the famous red apron (handsome and practical). 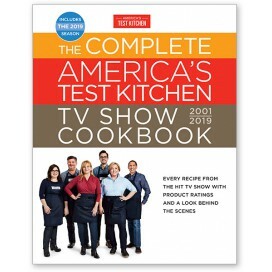 With The Complete America's Test Kitchen TV Show Cookbook 2001-2019 at your fingertips, you’ll have all 1,400+ recipes from every season of public television's top-rated cooking show plus up-to-date product picks and behind the scenes photos. 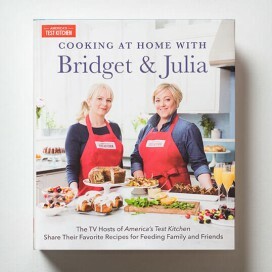 Cooking at Home with Bridget & Julia shares all-time favorite recipes of hosts Bridget Lancaster and Julia Collin Davison—what they make for family and friends, including hidden gems from early test kitchen cookbooks and flavor riffs on iconic test kitchen recipes. This winning recipe collection from America's Test Kitchen hosts Bridget Lancaster and Julia Collin Davison is the perfect book for test kitchen fans and for anyone who appreciates great recipes. Meet their families, read about their paths to the test kitchen, and see what they make when there isn't an army of prep cooks and dishwashers at the ready. With chapters on weekend breakfasts, home-style dinners, casual entertaining, and holiday celebrations, Cooking at Home with Bridget and Julia is a testament to the power of great recipes and outstanding food—and how it can be a touchstone for families, build traditions, and make celebrations and gatherings more fun. Many of these foolproof recipes haven’t appeared in print in many years, and most of them have been customized for their families.